What is the Difference Between a Drill & a Screw Gun? Although the terms "drill" and "screw gun" are sometimes used interchangeably, they are different tools. Drywall is installed with screw guns, but drills are used to install cabinets and trim. A drill has a chuck to hold drill bits. Some screws will not work with a screw gun. A drill has a chuck to hold drill bits and other bits used to screw in almost any kind of fastener. 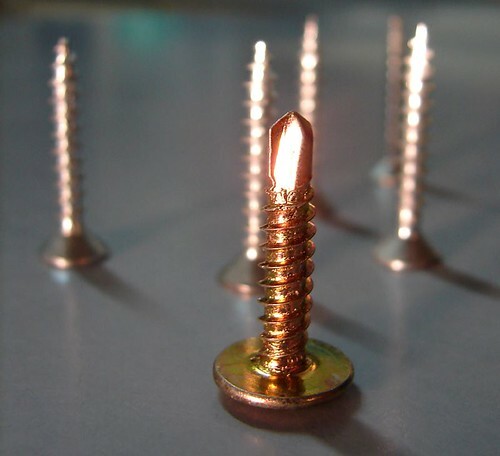 Screw guns are used only for fastening screws and are not designed to drill holes. There is an adjustable nose, versus a chuck, on the screw gun that sets the depth of the screw. A screw gun is used to install drywall. Screw guns serve one main purpose, which is to install drywall, plywood or other materials where the screws must be set flush. Drills are used for boring, screwing and hammer drilling. Drills may have a gear switch that supplies more torque when needed. An important difference between the drill and screw gun is the speed. Screw guns spin at speeds up to 6,000 revolutions per minute (rpm), but drills usually spin at rates under 3,000 rpm. For large projects, drills and screw guns are available in models that remove the need to handle every screw. The screws are set in strips that are fed automatically. 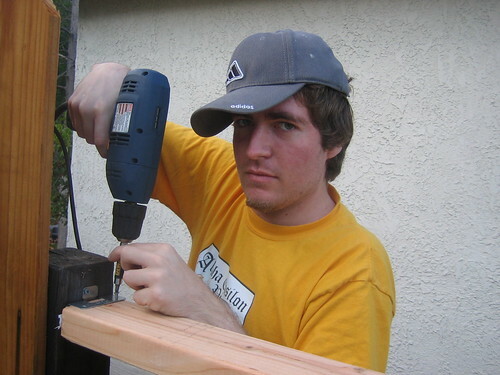 A drill can be used as a screw gun if you insert a dimpling bit in the chuck. These bits are available from your local home store. Drills used in this manner are mainly for installing a few screws because of the slow drill speed. Doug Berthon is an enrolled agent and owns ProActive Tax & Accounting LLC. He earned his Bachelor of Science in accounting from Metropolitan University in St. Paul, Minn. When to Use Flat or Round Head Screws? What Does 10-24 Mean When Talking About Screws?